While we await the announcement of the trade war nuke - namely tariffs against China - moments ago the US Trade Representative announced the launch of a WTO challenge to Indian export subsidy programs, in the latest global trade skirmish which is likely to grow into something far bigger. In a statement on the USTR website, Robert Lighthizer, announced that the United States has requested dispute settlement consultations with the Government of India at the World Trade Organization (WTO) challenging Indian export subsidy programs. a duty free imports for exporters program. These apparent export subsidies provide financial benefits to Indian exporters that allow them to sell their goods more cheaply to the detriment of American workers and manufacturers. Trump and Modi in happier times. The USTR claims that through these programs, India provides exemptions from certain duties, taxes, and fees; reduces import duty liability; and benefits numerous Indian exporters, including producers of steel products, pharmaceuticals, chemicals, information technology products, textiles, and apparel. According to Indian Government documents, thousands of Indian companies are receiving benefits totaling over $7 billion annually from these programs. Export subsidies provide an unfair competitive advantage to recipients, and WTO rules expressly prohibit them. A limited exception to this rule is for specified developing countries that may continue to provide export subsidies temporarily until they reach a defined economic benchmark. India was initially within this group, but it surpassed the benchmark in 2015. India’s exemption has expired, but India has not withdrawn its export subsidies. In fact, India has increased the size and scope of these programs. For example, India introduced the Merchandise Exports from India Scheme in 2015, which has rapidly expanded to include more than 8,000 eligible products, nearly double the number of products covered at its inception. Exports from Special Economic Zones increased over 6,000 percent from 2000 to 2017, and in 2016, exports from Special Economic Zones accounted for over $82 billion in exports, or 30 percent of India’s export volume. Exports from the Export Oriented Units Scheme and sector specific schemes, including Electronics Hardware Technology Parks Scheme, increased by over 160 percent from 2000 to 2016. Consultations are the first step in the WTO dispute settlement process. 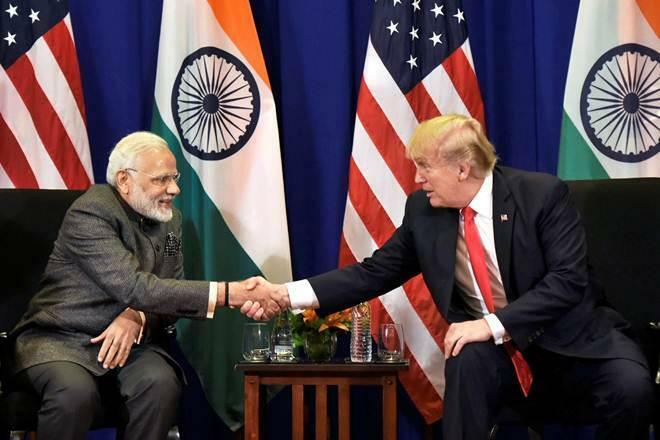 If the United States and India are not able to reach a mutually agreed solution through consultations, the United States may request the establishment of a WTO dispute settlement panel to review the matter. Of course, since trade war by definition invited retaliation, we now wait for just how Indian will respond to this initial trade war salvo between the US and India.